Below you can view all the condos for sale in the Capitol Hill subdivision located in Denver Colorado. 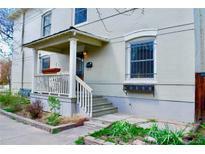 Listings in Capitol Hill are updated daily from data we receive from the Denver multiple listing service. To learn more about any of these condos or to receive custom notifications when a new property is listed for sale in Capitol Hill, give us a call at 720-729-2320. This home has the lowest HOA in the entire complex, with all the benefits of the pool, the year-round hot tub, the gardens, 24-hour security, on-site maintenance, and concierge service. MLS#1620992. Modern Real Estate Co. Generate income with a short term rental or to a monthly roommate who wants their own private outdoor living. MLS#7615123. Simply Denver. The third bedroom, located on the garden level, has a separate entrance that makes it an ideal short-term rental/AirBnB. MLS#7497708. Porchlight Real Estate Group. You don’t want to miss this one! MLS#4209463. RE/MAX Leaders. A private patio, reserved parking space, and all that Denver has to offer are right outside your doorstep. MLS#7926178. Madison & Company Properties. Deeded garage space comes with the condo. MLS#3962023. RE/MAX of Boulder. The roof top houses the gym, party room, billiards room, & outdoor seating for viewing the mountain range, the Capitol Dome & all of downtown - it's a must see! MLS#8544923. RE/MAX 100 INC.. Historic in the heart of the city, with all of your must haves! MLS#9356223. Keller Williams Realty Urban Elite. 2 blocks to RTD, easy access to Downtown! Non-smoking building. MLS#2381626. The Sorensen Group. Just move in - as everything has been remodeled - and enjoy the lifestyle this home provides! MLS#5925989. RE/MAX Momentum. The patio has been professionally enclosed to add a great bonus area. MLS#8613756. COLDWELL BANKER RESIDENTIAL 24. Take advantage of the excellent location in a friendly building with no lease or pet restrictions and just steps away from a variety of public transportation as well as all that Capitol Hill and downtown Denver have to offer. MLS#2554976. Madison & Company Properties. Just minutes to downtown, Cherry Creek, Washington Park and so much more! MLS#3864776. Berkshire Hathaway HomeServices Innovative RE. Walk In Any Direction To The Numerous Shops, Restaurants, Pubs, Coffee Shops, Music Venues, Cultural Events, Parks AND Downtown...Then Return To This Amazing Classic Residence For A Respite Between Outings. MLS#2790941. NOSTALGIC HOMES. This is truly a rare find! Don't miss it! MLS#9718439. RE/MAX Masters Millennium. Other potential uses of the property include residence, office, hotel and retail (use to be confirmed by buyer with Denver County based on C-MX-5 zoning). MLS#8873396. State 38 Real Estate Investment and Capital LLC. Additional updates include fresh paint, recently professionally cleaned interior, new carpet, a new door from garage & vinyl flooring in the garage storage rooms. MLS#3198018. Redfin Corporation. Call now to make your personal appointment today! MLS#2515578. TRELORA. Live in one of Denver's trendiest neighborhoods that's both historic and hip! MLS#4979523. RE/MAX ALLIANCE. With close proximity to bars, shops, and restaurants on Broadway, Lincoln, and Colfax, and only a 16 min walk to the 16th Street Mall, you may never need your car. Don't miss out! MLS#3127160. Keller Williams Realty Downtown LLC. Great starter home! Unbeatable location! Show Today! MLS#4960665. Buy-Out Company Realty, LLC. Take a look at the pics and set up your showing. MLS#2819702. eXp Realty, LLC. Walk to absolutely everything you could need. MLS#8615137. LIV Sotheby's International Realty. City living is calling, so come have a look at this gorgeous condo! MLS#9186026. Uptown Realty Group LLC. You can't beat this rare Florentine gem -- see it now! MLS#9302740. COLDWELL BANKER RESIDENTIAL 18.